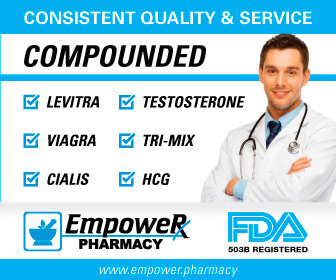 Many men know that progesterone lowers DHT (dihydrotestosterone), which could be good or bad depending on your situation. What is not as well known is that progesterone can also lower estradiol levels in us guys. Many men, especially as they age, end up with high estradiol levels - usually due to weight gain - and are wondering how to control it naturally. Of course, the first order of business should be to drop those extra pounds through diet and exercise. But one also might want to pull one's progeseterone levels as this could be a partial explanation as well. Here is a summary of the research-based evidence that progesterone lowers estradiol by modifying aromatase activity. Aromatase is the enzyme in fat tissue that converts some of your testosterone into estradiol. This is why overweight men tend to have higher estradiol and lower testosterone: the more fat tissue, the more aromatase. NOTE: Progesterone seems like the most controversial of the big gun, common hormones for men. It has some stellar results as you can read about in my page on Progesterone and Erectile Dysfunction and The Benefits of Progesterone in Men. However, it also has some decided risks, which I discuss in my page The Potential Dangers of Progesterone. Also, I am not encouraging anyone to necessarily try progesterone. It does have some risks, which I list here: The Potential Dangers of Progesterone. And there is a potential backdoor route: supplemental pregnenalone can raise progesterone in some men. 2) Biochem Pharmacol, 2008 Jul 15, 76(2):208-15, "MCF-7aro/ERE, a novel cell line for rapid screening of aromatase inhibitors, ERalpha ligands and ERRalpha"
3) Acta Endocrinol (Copenh), 1975 Nov, 80(3):569-76, "Progesterone, 20 alpha-dihydroprogesterone and 20 beta-dihydroprogesterone in mother and child at birth"
4) Journal of Endocrinology, 1998, 158:401 407, "Progesterone inhibits glucocorticoid-dependent aromatase induction in human adipose fibroblasts"
5) J Steroid Biochem, 1986 May, 24(5):1033-9, "Aromatase activity and concentrations of cortisol, progesterone and testosterone in breast and abdominal adipose tissue"